Despite its growing popularity, Mexico City is still victim to several stereotypes. Most are quick to write off any non-beach destination in Mexico as boring and mistakenly assume that Mexico City is dangerous like other inland regions in Mexico like Sinaloa or Guerrero. But we all know what happens when you assume. 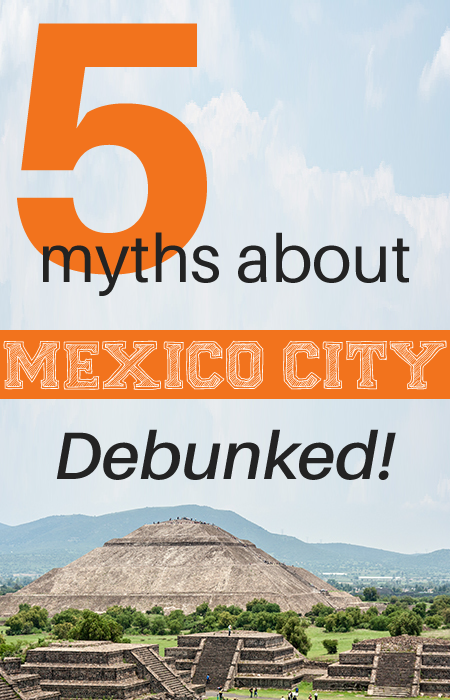 Here are the most common myths about Mexico City, and why they simply are not true. Police stationed in preparation for a peaceful protest march. This is a common misconception about Mexico City, perpetuated by movies and influenced by the crime found in other parts of Mexico. 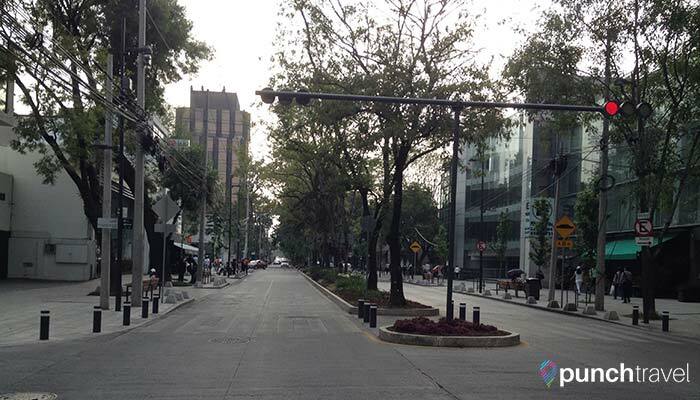 While it’s true that crime does exist in other parts of the country, in reality, Mexico City is relatively safe. In fact the crime rate in Mexico City is less than that of other metropolitan cities in the United States, like Atlanta or Baltimore. You may be surprised to learn that the US Department of State does not have any travel warnings for Mexico City, while it does for beach spots like Cancun and Cabo San Lucas. 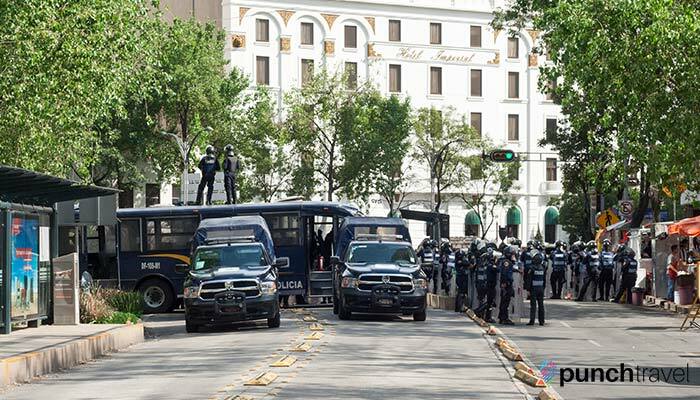 Mexico City has ramped up their security measures in recent years. In 2011, 11,000 security cameras were installed throughout the city and the police force was significantly expanded. Mexico City now has one of the highest police to resident ratios in the world, with one uniformed police officer per 100 citizens. Like any other major city, caution should still be exercised when you are out in the city. There will always be pickpockets looking to take advantage of tourists, so be careful and resilient when you are flashing your camera or using your cell phone. Take care to not make yourself a target. Taxi scams exist as well, so we recommend to not hail a taxi cab off the street, but instead use a ride-sharing app like Uber, or ask your hotel concierge to call a taxi for you. 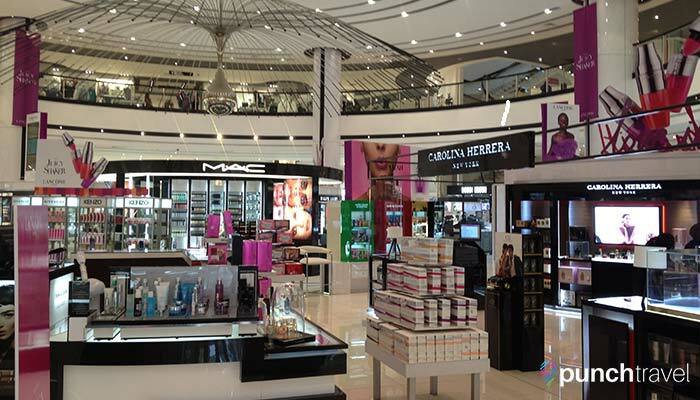 A glittering shopping mall in Mexico City. Like the misconception that Mexico City is not safe, the myth of Mexico City being a poor city is one that is habitually perpetuated by the film industry and the US media. In reality, Mexico City is a city of people from all walks of life. While the poverty rate for Mexico is high at over 50% of the population, in Mexico City the wealth spectrum is wide. For example, Mexico City is home to Carlos Slim, the richest man in the world in 2012, a man whose personal wealth equals that of 6.3% of the entire Mexican GDP. In Mexico City you can find haute couture clothing stores and luxury car dealerships, and you can easily spend over $100 a head at some of the finest restaurants. 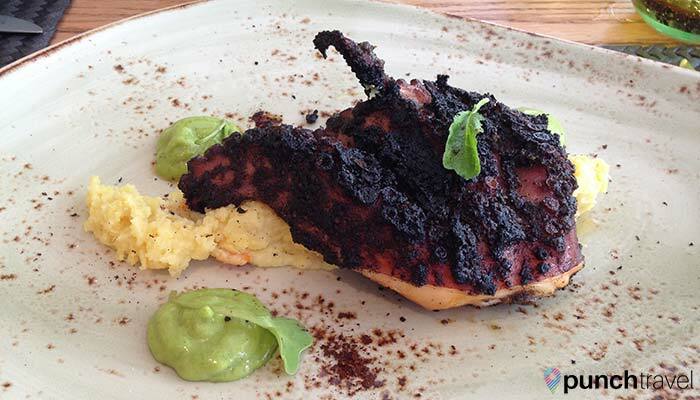 Luscious grilled octopus at Guzina Oaxaca in Polanco. While it is obvious that there is no shortage of traditional Mexican food to be found like tacos, tamales, tostadas, churros and more – there is also an equal amount of lighter, healthier reinventions of Mexican classics using fresh and local ingredients. Restaurants like Quitonil and Contramar serve elevated Mexican fare, reinvented with the freshest local ingredients and beautifully plated. Mexico’s culinary scene ranges from the street tacos and tamales to 4-star restaurants helmed by Michelin-starred chefs. In fact, Mexico City is home to three of the world’s 50 best restaurants, and several global restaurant empires, like Morimoto, Nobu and Cipriani have branches here. What’s more, you can find pretty much any kind of cuisine in Mexico City. Japanese food is extremely popular, as is Italian and Argentinian. If all else fails, you can always fall back on classic American chains like Olive Garden, Burger King and Starbucks. In a city with over 21 million people, and what seems like an equal amount of cars, a level of grime will inevitably build up. While you can’t get around the fact that the pollution is a problem, the city is fighting back with measures to offset the smog. Restrictions on driving such as prohibiting drivers from using their cars one day of the week, introducing greener forms of transportation like the Ecobici bike program and green walls and vertical gardens help to offset the pollution. Aside from the air quality, the city itself is in constant motion, cleaning after every smudge and speck of dust that settles. Everywhere you go you’ll see people cleaning and sweeping to keep the city clean. Restaurant staff are constantly wiping down countertops, and at the end of the day, even the street cart vendors do a deep clean of their cooking station, including the plastic stools and even the tarp signs. Bathrooms are monitored by bathroom attendants who are constantly entering the stalls after each use to clean. You’ll find hand sanitizers strategically placed at the entrance to every restaurant, museum and even some stores. With such a populous city, it is not always easy to keep the dirt and grime from settling, but for its size, Mexico City is surprisingly clean and orderly. History! Food! Museums! Music! What more could you ask for? When people think of Mexico, Mexico City is not often at the top of the list of most-visited destinations. Most people only spend their time on the coasts, going to beach resort towns like Cancun, Puerto Vallarta and Playa del Carmen. But there is much more to do in the capital of Mexico than on the beach. It has a stellar culinary scene, plenty of markets and shopping centers and a plethora of museums on everything from folk art and history, to chocolate and tequila. You can always find something new and exciting happening in the city, like a cultural festival, gallery opening or a football match. 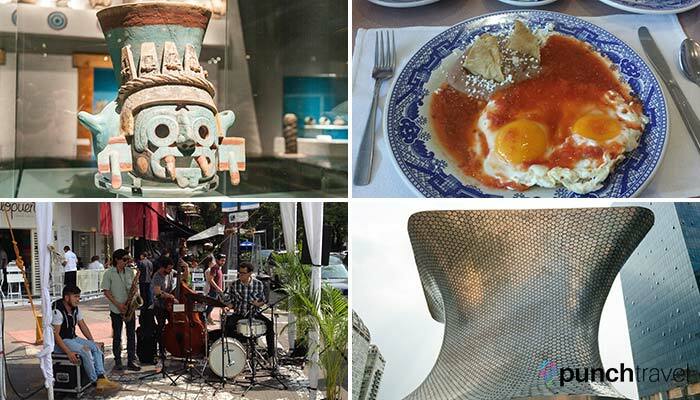 Check out my other post on how to spend a weekend in Mexico City for some inspiration.